This is the most recently released title and we have not had a chance to review this title. Once we do, we will add a few sentences on what we though as well as any classroom usage tips. In the meantime, here is the publisher's description of the book: "Xaxon Yellowbeard was the fiercest Viking warrior of his time. 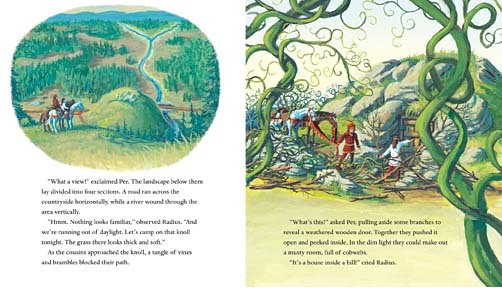 Now a map to his hidden treasure lies in Radius's and Per's hands. Together the cousins must decode the strange numbered grid on the map-and figure out the secret of the Viking's X and Y axes. As bungling bandits pursue them, Radius and Per use coordinate geometry in their quest for 'treasure of the greatest measure'." 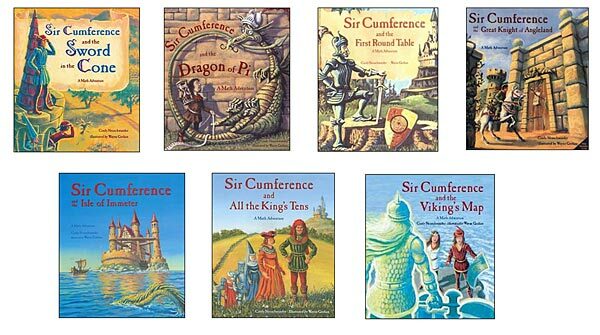 There are lots more Sir Cumference books available! 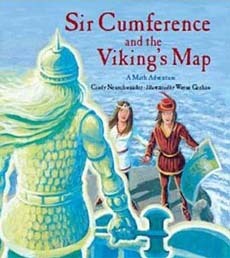 We think Sir Cumference books are fun, engaging resources for teaching different geometry topics to kids! To learn more about them, click on the book covers below or on the link above.